How much is Charlamagne Tha God Worth? 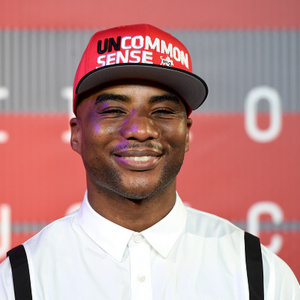 Charlamagne Tha God Net Worth and salary: Charlamagne Tha God is an American radio DJ and television personality who has a net worth of $10 million. Lenard McKelvey (aka Charlamagne Tha God) was born June 29, 1980 in Moncks Corner, South Carolina. He is most famous for being one of the hosts of The Breakfast Club which airs on Power 105.1 in New York City and is syndicated around the country. His co-hosts are DJ Envy and Angela Yee. He also stars on the TV Shows Guy Code, Guy Court and Girl Code. Guy Code is a comedy television show on MTV2 that talks about a special code of conduct just for men. Charlamagne is known for his outspoken and brutally honest rhetoric on The Breakfast Club and on Twitter. He first became popular through his appearance on The Wendy Williams Experience with Wendy Williams on VH1. 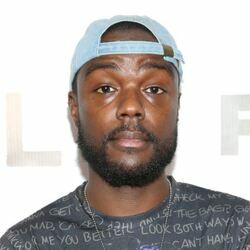 He currently stars on the MTV2 show Charlamagne & Friends. With fellow MTV2 personality Andrew Schulz, he hosts The Brilliant Idiots podcast on Combat Jack's Loud Speakers Network. He has made a name for himself in the hip-hop industry by asking celebs the tough questions—for example, he called Kanye West's release Yeezus "wack" to the rapper's face before calling him "Kanye Kardashian". Charlamagne's no-holds-barred approach has made him one of the best radio hosts in the business. When asked by the New York Times where the moniker Charlamagne Tha God stemmed from, he was quoted as saying, ""When I used to hustle, I called myself Charles because I didn't want the people who bought crack from me to know my real name. And then when I was in night school, I was reading in the history book about Charlemagne, which is French for Charles the Great." And no, there wasn't a reason for the misspelling. He explained, "I think I just spelled it wrong." In 2017, Charlamagne released a self-help book titled "Black Privilege: Opportunity Comes to Those Who Create It". 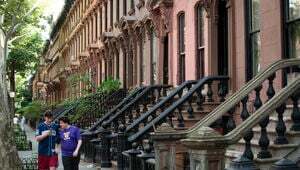 The book was a New York Times best-seller for more than 2 months.